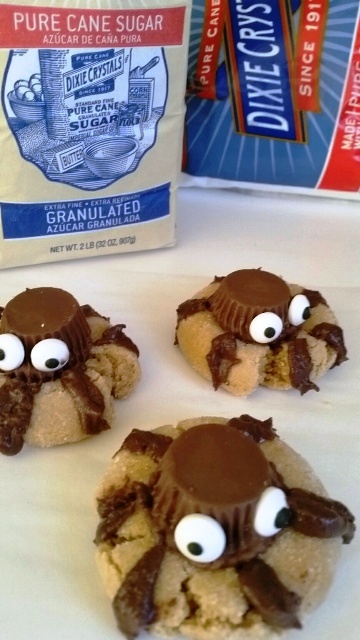 Halloween Spider Cookies: Chocolate Peanut Butter Halloween Cookies. 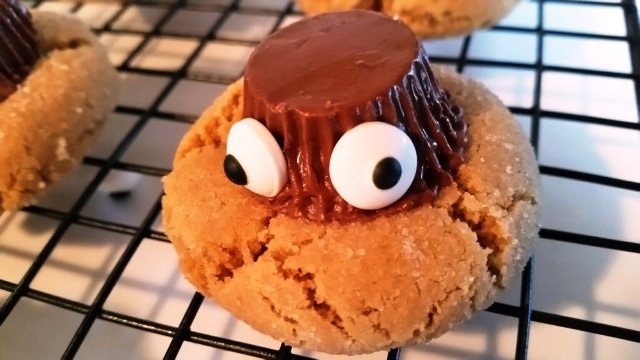 A yummy peanut butter cookie with a chocolate peanut butter cup face and chocolate legs. 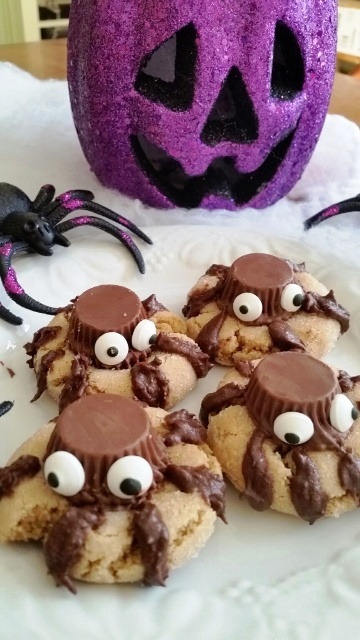 This cookie will be a hit at your Halloween Party! I love making treats for my kids for Halloween. 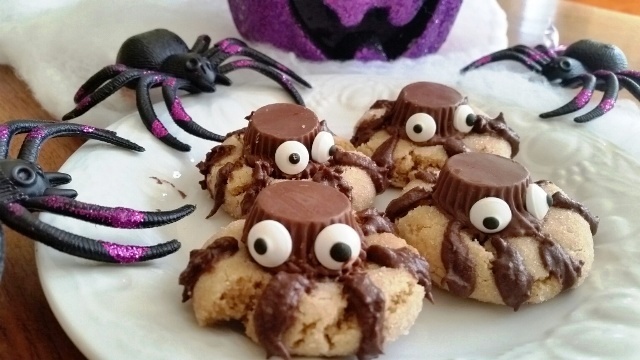 My kids squealed with joy when they saw how adorable these Halloween Spider Cookies are. I should have doubled the recipe because they scattered away quickly, just like spiders! I decorated my daughter’s birthday cake with them, they put a huge smile on her face! Dixie Crystals is a trusted Southern brand since 1917. Their goal is to get families to spend more time together in the kitchen and around the table making memories through food. 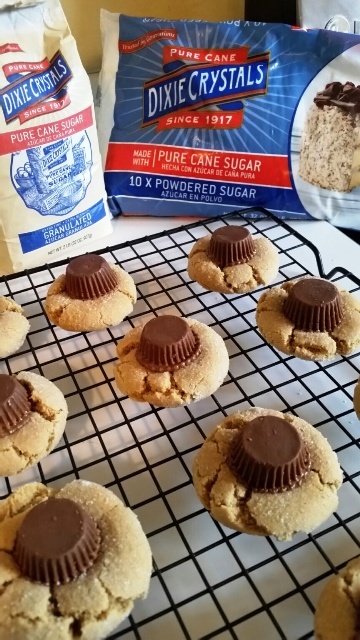 Check out Dixie Crystals com where you’ll find thousands of time-tested recipes, baking videos, vintage cookbooks and so much more. There’s also a wonderful Kids in The Kitchen where you’ll find hundreds of kid-friendly craft ideas, printables, edible art projects, activity sheets and science projects. Run for the hills, the spiders are coming to get you!! Dixie Crystals Scary Scramble Contest –Unscramble the words for a chance to win a Kitchen Aid Mixer. How awesome to win a KitchenAid! That would be so helpful to make these yummy Halloween Spider Cookies! 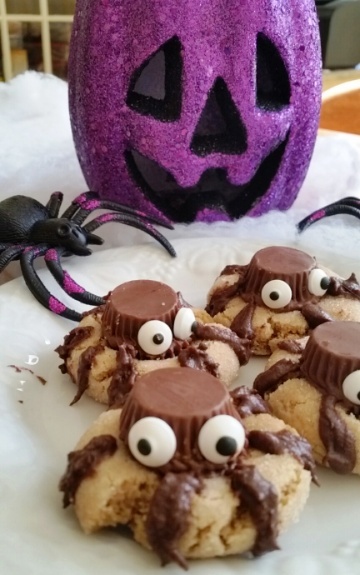 What you will need to make these fun and yummy cookies! 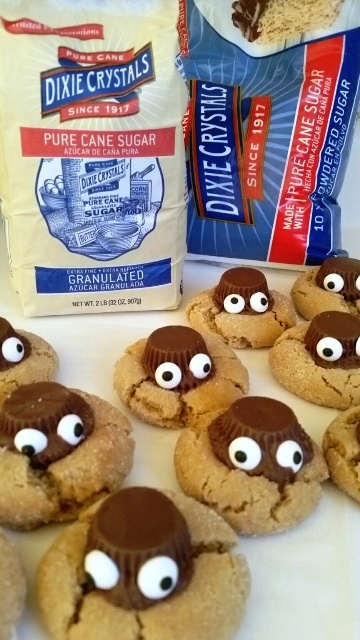 Dixie Crystals Granulated and Powdered Sugar, Peanut Butter, brown sugar, egg, shortening, vanilla, flour, baking soda, salt, mini Peanut Butter cups, candy eyes, unsweetened cocoa powder,cream. 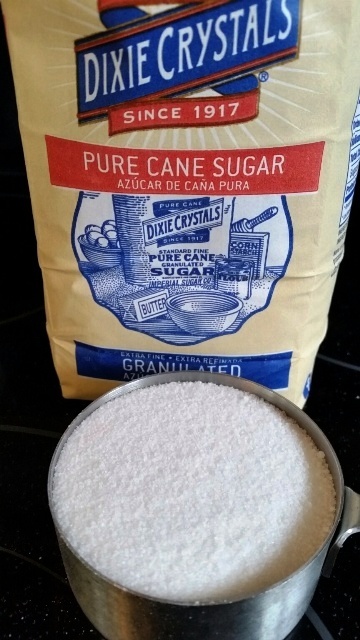 Cream Dixie Crystals granulated sugar, shortening, peanut butter, egg, brown sugar, vanilla and milk in a big bowl. 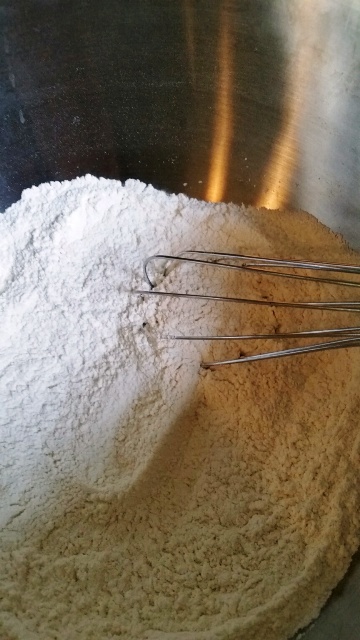 In another bowl, whisk flour, baking soda and salt. 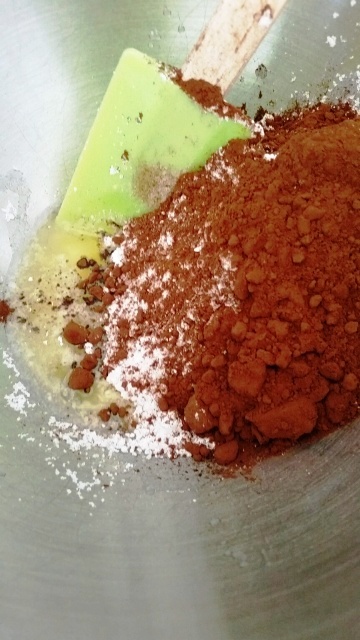 Add dry mixture to wet mixture. Form into small balls. 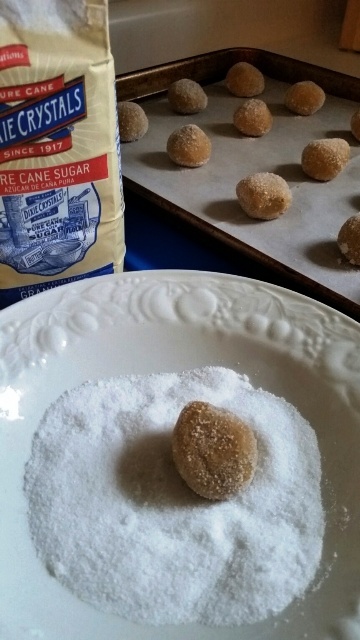 Roll dough balls in sugar. Place a couple inches apart on parchment paper-lined baking sheet. Bake 10-12 minutes or until golden. 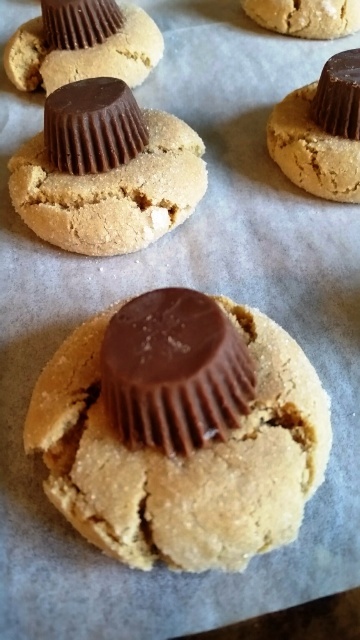 Right away, press upside down frozen peanut butter cup on top of each cookie. Transfer to a cooling rack. Place candy eyes in place while the chocolate is warm and soft. 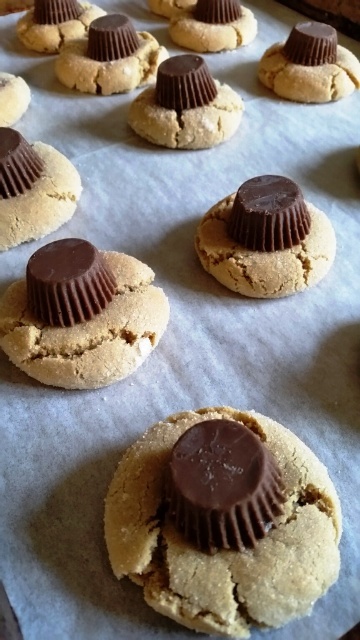 Place cookies in the refrigerator for 10 minutes or until firm. 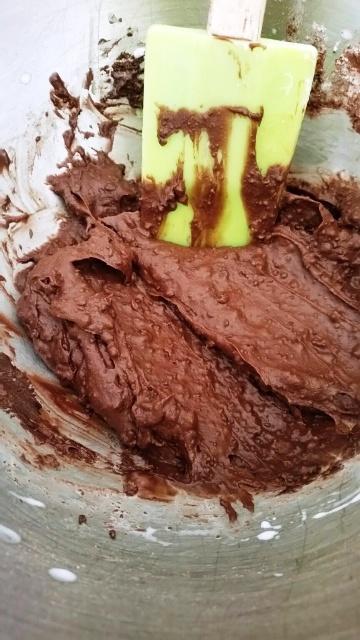 Make the chocolate legs. 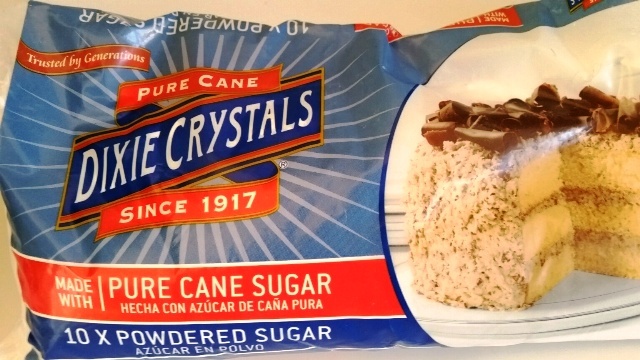 Combine Dixie Crystals Powdered Sugar, unsweetened cocoa powder, and cream. Mix until creamy and smooth. Look how excited they are! Just waiting to get their eight chocolate legs! 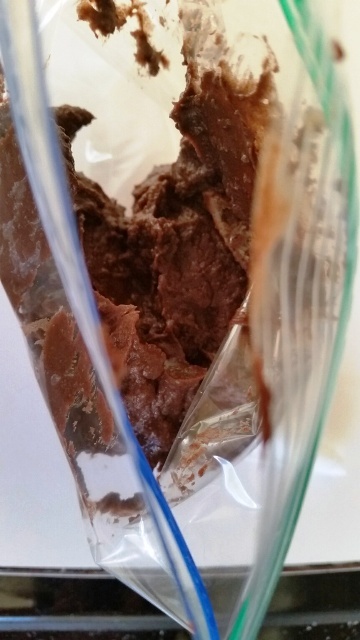 Place chocolate frosting in a zip lock baggie with a piping tip. Pipe on legs, use a toothpick to draw frosting down if too thick. 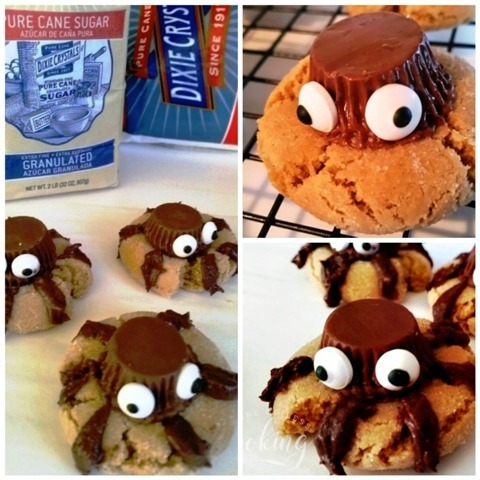 Chocolate Peanut Butter Halloween Spider Cookies. 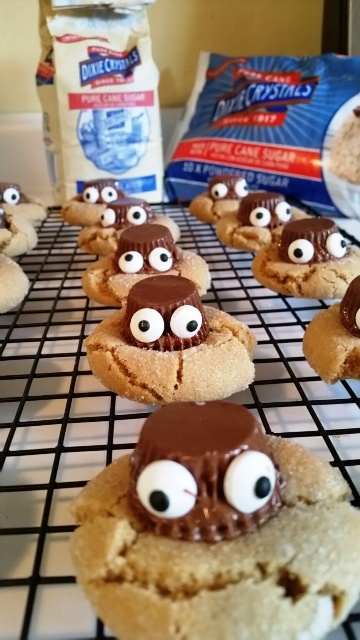 A yummy peanut butter cookie with a chocolate peanut butter cup face and chocolate legs. 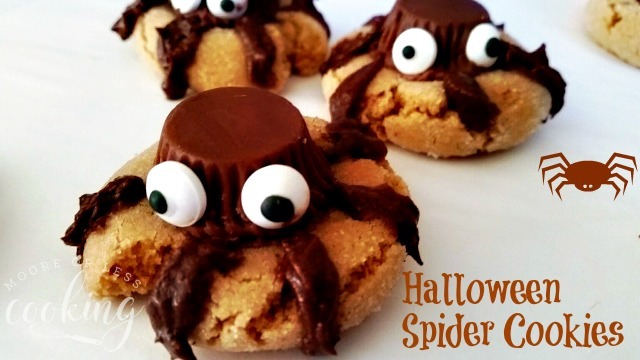 This cookie will be a hit at your Halloween Party! 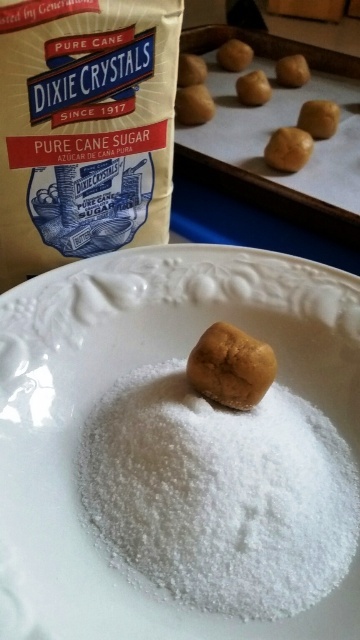 In a large bowl, beat together shortening, peanut butter, egg, Dixie Crystals sugar, brown sugar, vanilla and milk. 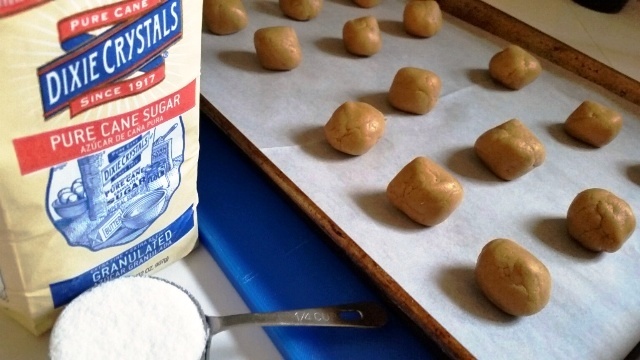 Roll in Dixie Crystals sugar and place a couple of inches apart on a parchment-lined baking sheet. 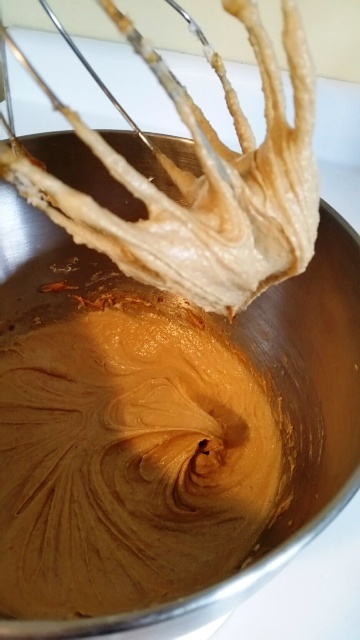 Beat butter until smooth with a stand mixer or handheld mixer. 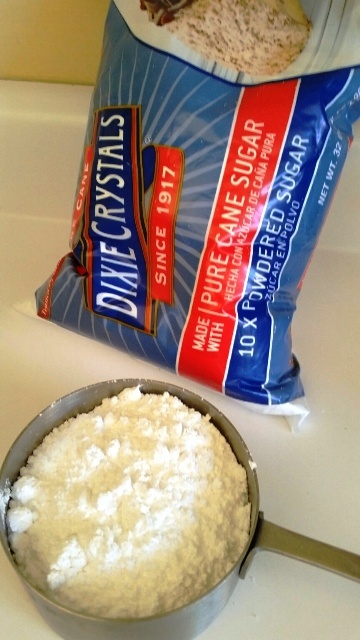 Add Dixie Crystals Powdered Sugar and cocoa powder, beat to combine. Add cream, beat for a minute. Add more cream to adjust the consistency. 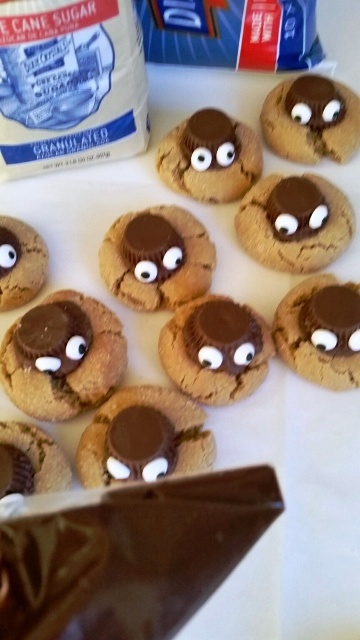 Place frosting in a baggie, cut a small hole, using a small pastry tip, pipe 8 legs on each cookie. Place in refrigerator to let set. Check out all of the wonderful Halloween Treats from our Sunday Supper Tastemakers! SO cute! And I love that they’re easy enough for a non-crafty gal like me to make!!! Very cute and so easy to make! My kind of recipe!